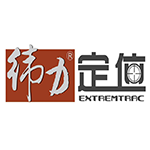 Located in Shenzhen, China, ExtremTrac develops and manufacturers vehicle tracking devices for car, fleet management, personal tracking for workforce management, security and asset tracking. The company was established in 2006. The chart below shows the changes within the last 30 days in the number units of Extremtrac Technology devices type are connected to Wialon Data Center.